Americans love scandals. Newspapers, magazines, cable television – they all profit off scandalous behavior. When they can’t find a scandal to report on, they often create them just to get a headline. Shamefully however, it’s safe to say they have their finger on the pulse of who we are as Americans, realizing the only way to jolt our apathy and comfort is by electrocuting our senses with a little shock-and-awe. Fortunately, scandals don’t always end up badly. Some scandals kick start greatness. The scandalous death of Christ ushered in salvation to a dying world and kick started a church movement that continues to change the world today. Whether good or bad, there is one thing scandals have in common…they are eye-opening! Last week, I found myself in the midst of a scandal smack dab in the middle of Port-au-Prince, Haiti. As the Senior Director of Church Partnerships for World Orphans, I lead mission trips to impoverished countries all throughout the world. Scandals are prevalent in countries like these as the effects of extreme poverty, crime syndicates, corrupt governments, and misappropriated funds frequently pepper the Majority World. But this scandal was like none I had ever seen before. This scandal had more to do about me, and what lived inside of me, than the act itself. To help set the stage, I was leading a mission team to visit one of our church partners in Haiti. We were attending the early morning church service and had just finished the praise and worship time. As we prepared for offering, the baskets began to pass up and down each row, as hands dropped in coin after coin and bill after bill. This was a poor church, where approximately 70% of the congregation didn’t have steady jobs. Weekly offerings barely reach $50 at churches of this size (approx. 200 people). The pastors work full-time jobs away from the pulpit to provide what they can for their families. The offerings simply go towards operational expenses, but primarily to care for the poorest of the poor in their community. Well… that’s usually how it goes. But this day was different. Now, I don’t speak Haitian Creole worth a lick, but having traveled extensively throughout the world, I have become pretty good at reading body language. As the pastor was bathing the offering in prayer, I began picking up on something that was quite alarming. I glanced over at our Haitian Country Director, a local Haitian himself, and a picture of his face told a thousand words. He was staring at me…eyes wide open… jaw-dropped…and was simply shaking his head. Although the pastor’s words escaped me, the message of his prayer was loud and clear…he was giving the entire offering to our team as an appreciation for us traveling so far to serve alongside his church! Quickly, I relayed the message to the rest of my team as tears began flooding out from the streams of naked humility. Since our hearts were fixed on caring for the needs of the poor not the other way around, no one wanted to accept such a gift, but the gift had already been delivered. With pride guarding our emotional doors, receiving an offering from the poor was like taking a punch to the gut! Throughout the rest of the week, the church extended more love by rallying together to feed us meal after meal. I humbly appreciated every bite of food and drop of water, but in the back of my mind, each bite and each drop was a constant reminder that the hungry was feeding the full…the thirsty was bringing water to those who had plenty to drink…and that the poor had graciously tithed to the rich. That was a week ago. I’m home now, sitting in my comfortable chair, looking out my window at the sunny landscape surrounding my Florida home. The story has continued to grow in my mind, not because of the act itself, rather because I simply cannot imagine doing what was done for me while I was in Haiti. 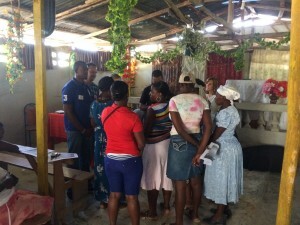 The cheerful and giving heart of that Haitian pastor rivaled how Abraham cared for his three guests and how Mary anointed Jesus’ feet with costly perfume. Meanwhile, in my reality, I often take out my calculator to figure out exactly how much “I’m obligated” to give to my church each week. This conviction that I feel today spotlights a scandal that I didn’t even know lived inside of me – my scandal of giving. Highlighting the scandal of giving in the American church, John and Sylvia Ronsvalle (The State of Christian Giving) report that the richer Christians become in America, the less we give in proportion to our income. 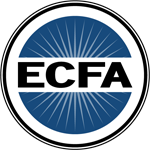 Recent reports estimate that American evangelical Christians give only 4.27% of our income, or about two-fifths of our tithe. Shamefully, in 2002, George Barna discovered that only 9% of American evangelicals tithe. Over the past week, I buried my thoughts and myself in my personal scandal of giving. Why the sharp discrepancy and disconnect from one culture to the next in terms of giving? Why does the poor in one country often give so much while the rich in another country give so little? Does one culture preach tithing better than the other? Or is it simpler than that? Perhaps the solution to the scandal of giving rests in our journey to become a cheerful giver, someone willing to cheerfully give above and beyond…even when it doesn’t make any sense! Reflecting on my time in Haiti, the one thing that wasn’t lost in the balancing act of my pride and appreciation of receiving the offering from the poor…of receiving the meals from the hungry…of receiving the water from the thirsty…was the cheerful heart of those who gave. Their smiles and joy, deeply rooted in a cheerful heart, escaped no one! The beautiful thing is, not only could we not escape the joy, but I also realized that the cheerful giving is downright contagious! At the end of the week, I watched my team present an offering to the church that far surpassed anything I could have ever imagined giving…all of which was rooted in the heart of some very cheerful givers. Going forward, my challenge at hand rests in how I choose to sow. Fortunately, I’m not forced to make that choice alone! God set His Spirit on a course destined to dwell in the hearts of those who call upon His name. The Spirit of Christ can bring joy and cheer to the hardest of hearts and the stingiest of givers…and thankfully can turn anyone into a cheerful giver! Summer is an exciting and busy time of year for the ministry of World Orphans. 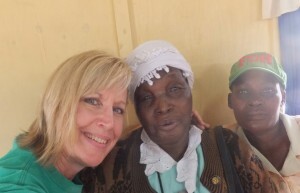 Short-term trips are being mobilized, itineraries are being planned, hearts are being prepared, and global church partners are anticipating another week of precious time wholistically serving the church, connecting with the children, and ministering to the needs of the community. 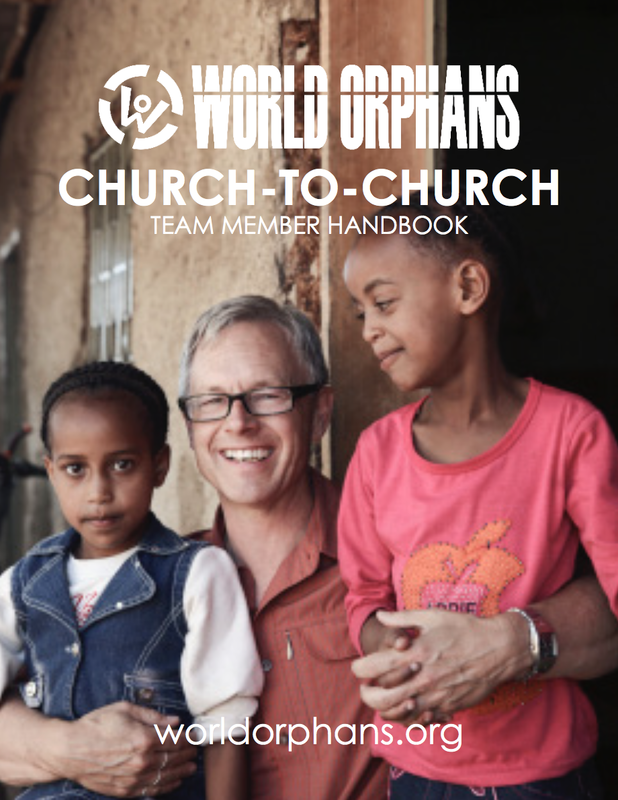 World Orphans short-term mission trips seek to strengthen church partnerships by enabling the US and international church to serve together in mutually beneficial relationships. 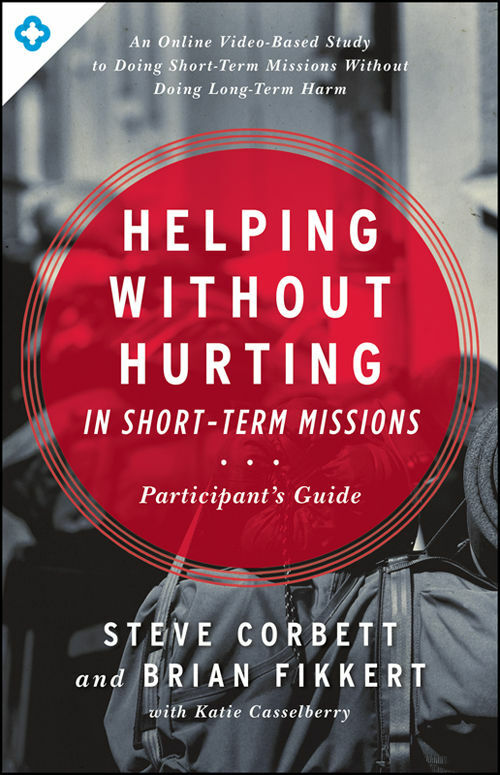 I was recently asked the question, “What does wholistic care have to do with short-term mission trips?” This is a really great question! In order to best understand the function of wholistic care across the scope of short-term trips and church partnerships, it is important to understand the foundation and begin with defining the meaning of the term. ‘Holism’, simply defined, emphasizes the importance of the whole and the interdependence of its parts. The holistic concept in medical practice upholds that all aspects of people's needs, including psychological, physical, and social, should be taken into account and seen as a whole when considering treatment for the patient. “Hear O Israel: The Lord our God, the Lord is One” (Deuteronomy 6:4). 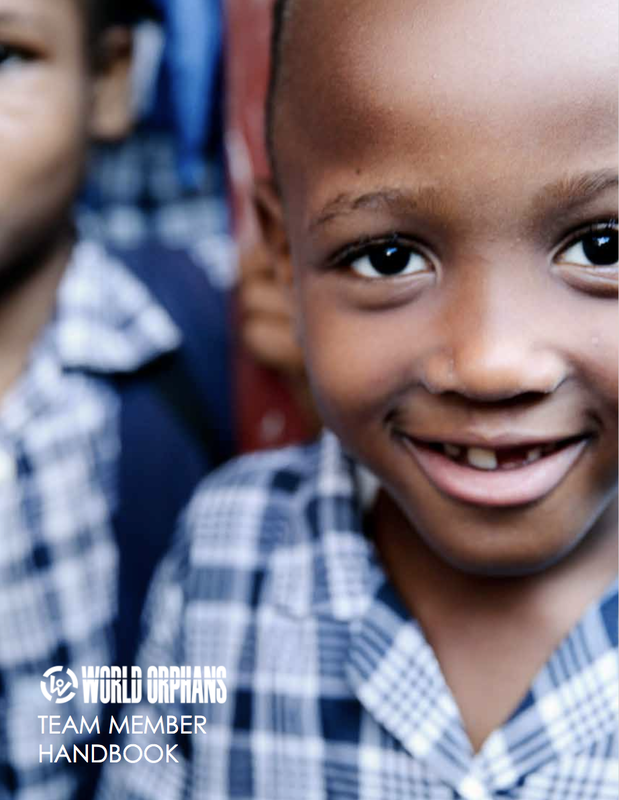 World Orphans approach to orphan care is wholistic in that we seek to care for the needs of the whole child (spiritually, physically, emotionally, and mentally) with the ultimate goal of bringing glory to God through physical and spiritual transformation. “And he is the head of the body, the church. He is the beginning, the firstborn from the dead, that in everything he might be preeminent. For in him all the fullness of God was pleased to dwell, and through him to reconcile to himself all things, whether on earth or in heaven, making peace by the blood of His cross” (Colossians 1:18-20). Orphaned and vulnerable children have many needs. While it is important to address the child’s physical and educational needs, it is vital to remember the emotional impact that rejection, abandonment, and abuse will have on an orphan who is attempting to learn, heal, and attach in the context of family. As a wholistic ministry, we take an approach to caring for children spiritually, physically, emotionally, and mentally through the grace of Jesus Christ. We recognize that true and lasting healing and transformation for the ‘whole being’ comes through the Gospel of Jesus Christ. This means that there is hope of full redemption for those who believe, no matter the circumstances. Even against the backdrop of hunger, disease, poverty, abandonment, abuse, injustice, and sin, there is real hope. “We always thank God, the Father of our Lord Jesus Christ, when we pray for you, because we have heard of your faith in Christ Jesus and of the love you have for all God’s people—the faith and love that spring from the hope stored up for you in heaven and about which you have already heard in the true message of the gospel” (Colossians 1:3-5). The greatest example we have to look to for this approach to ministry is Jesus. Jesus, who is both fully God and fully man, grew mentally, physically, emotionally, and spiritually. One of my favorite ways to wholistically minister alongside the International Church is through hosting medical clinics for the community. With a high rate of unemployment in the regions we serve, medical care is impossible for most to afford. Opening the gates to people who are in physical need provides a precious opportunity for the local church to have wholistic impact in their communities. …The front door of the church becomes a place of registration and an open door for the physically and spiritually sick to enter. …The sanctuary becomes the room where sinners are welcome, emotional pain is shared, and the hope of the Gospel is offered. …The ministry team becomes the arms of Jesus and the offering of compassion to those who are in despair. 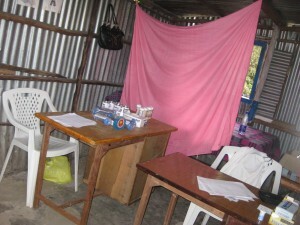 …The church classrooms become examining rooms where illnesses are treated and medicine is offered. …The upbeat music outside on the grounds of the church becomes the joyful dance floor where children are playing and love is extended. I am convinced of this reality – the hope of every heart, both physically and spiritually, is Jesus and the church is the agent of God’s grace to those in need. 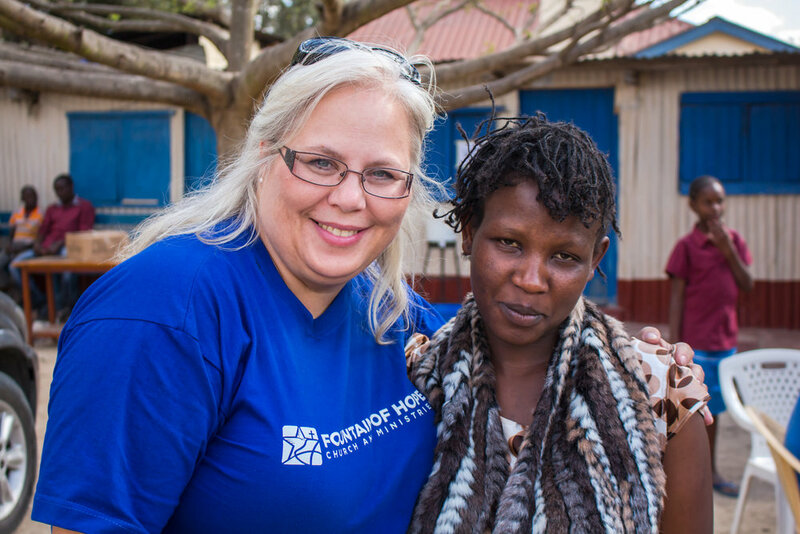 Short-term partnership trips provide exciting opportunities for the global church to glorify God, deepen the bonds of friendship, and wholistically care for those in need. Let’s talk! What are ways that you glorify God and encourage the church on your short-term missions trips? What are your thoughts about taking a wholistic approach to ministry?